THEOSTYLE | One day at a time. We needed it; but I heard complaints. The weather is the master; naturally. I wasn’t ready. But I greet it; with open arms. Looking for the beauty between the lines. My family love games. We also love animals. The following posts will be images from a game in the car. 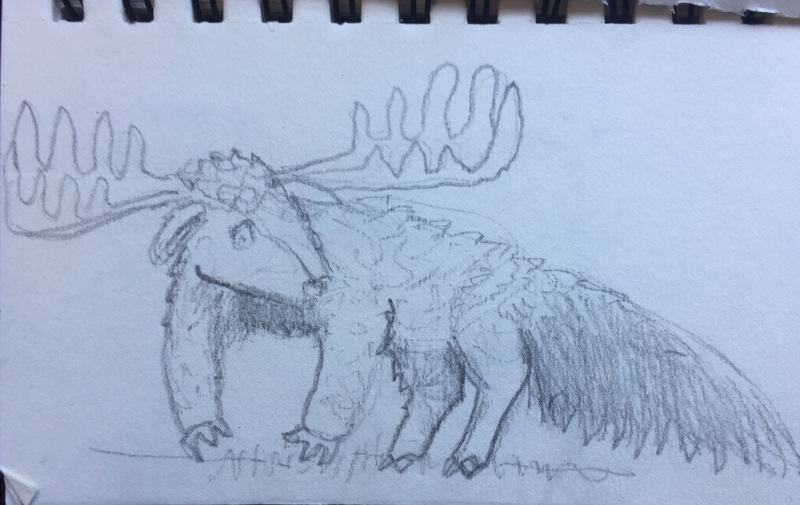 First, everyone thinks of an animal, then we combine them in a drawing. So when I went to work on Friday, I found out the 2 displays I posted last week were on the wrong size boards. Oops. So I recycled. Paint pen on foam core and board. 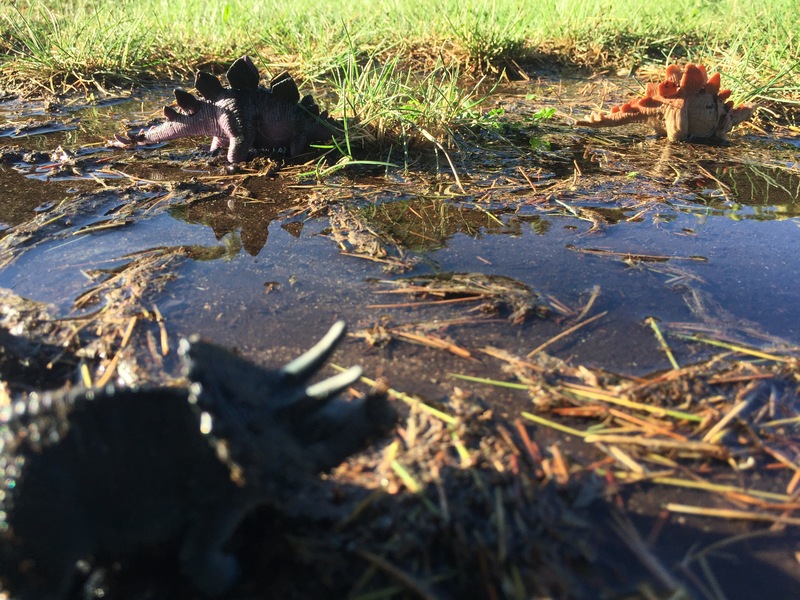 Triceratops and Stegosaurus moving up the front yard river. Are they looking for something, or is something looking for them? I love cactus and succulents. Here is one in summer bloom at the San Bernadino County Museum. The following photos are of our friends at the SBCM Exploration Station. Enjoy.